It's simple, you can schedule it with your carpet cleaning or schedule it when our schedules allow. Call now Metro 817-453-4141 and schedule now. For the first time in history you no longer have to get on your knees with a toothbruth, or brush with some kind of deck brush and fight with smelly chemicals that don't work. What Will You Get If Y ou Decide To Try Out The Grout Demo? You'll get the tile and grout cleaning you deserve. You'll see a dramatic difference right before your eyes. You'll see where the color and grout lines used to be. What Will Hap pen If I Do Nothing? 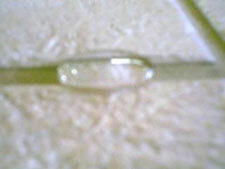 The grout lines will remained soiled. The grout will never sparkle like it used to. 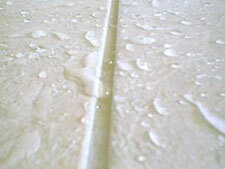 Schedule any Carpet or Upholstery cleaning and you'll Instantly qualify for your free demo. Or be one of the lucky 7 who called me before all the demo were grabbed up. It that easy. Just make sure you let us know "before" coming out, so we can block out enough time to make it look like new again. Now that you're thinking of taking me up on my free demo, you should call now. So you don't miss out. It's on a first come first serve basis. 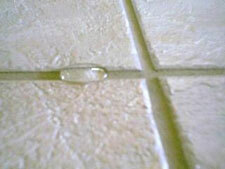 When you call please give us an approximent size (square feet) of the tile you'd like cleaned. I've put a few samples of before and after pictures to give you a good Idea what you're in for. For free friendly advice or if you have any questions or concerns email me at doug@loveyourcarpets.com . Or call now and schedule Metro 817-453-4141.